We love where Sony is currently driving the Spider-Man universe, especially because they are finally seeing the bigger picture. While it’s nice that Sony and Disney are currently playing nice to include Spider-Man into the Marvel cinematic universe, we are also happy that they are expanding upon the Spider-Man universe with Venom and the recently released Spider-Man: Into the Spider-Verse. That being said, the latter will probably pass the revue in a few weeks or months, for now we get to take a look at the physical edition of Venom, the anti-hero in the Spider-Man series. The movie starts off with a spectacular crash of a space shuttle that is returning to Earth. The space shuttle come with a few ‘special samples’, as it is bringing home extraterrestrial living organisms. One organism escapes, but three of them can be contained and are to be used for study purposes, and after a while to be used as a symbiote for human life in outer space. While the introduction was certainly flashy, it ends up bringing us to Eddie Brock (Tom Hardy), a reporter who takes down evildoers with his own program. To his discontent, he is being sent on an assignment to talk to Carlton Drake (Riz Ahmed), who wants to explain that the crash of his shuttle is a unique occurrence. While Eddie Brock agreed to do a clean interview, the best of him takes over, wanting to expose Drake for the atrocities he is performing in the name of science and progress. This doesn’t go over so well, and Eddie gets fired from his job, and his fiancé Anne Weying (Michelle Williams), gets fired as well, as she works for Drake, making Eddie lose his fiancé as well. Time goes by, and Eddie struggles to find a job and is almost running out of cash, turning him into a rather broken man. This broken entity becomes the perfect host for one of the symbiotes by the name of Venom, granting Eddie powers like he’s never seen before. 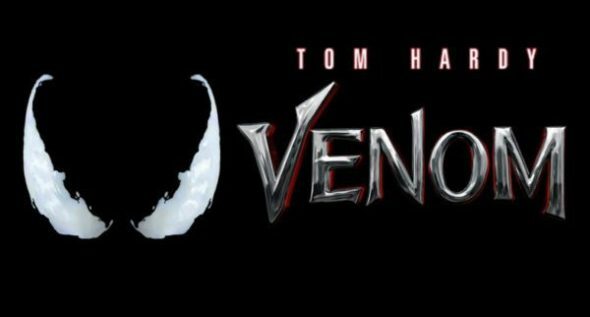 Even though Venom is known as a rather violent character, the movie isn’t all about fighting and/or action. The buildup is actually pretty much perfectly handled. You’ll get the situation where the ‘symbiotes’ land on our planet, and that they need a proper host to survive. You’ll see that not every animal or human is a perfect match, allowing them to survive on our planet. The information is given in order to allow you to enjoy the heavy action packed scenes that ensue later on. The story might not completely be the same as the original, but the Venom character is properly honored, showing some of his evil traits, but also his bond with Eddie. The movie spans slightly under two hours and it’s neither too long or too short, it’s actually quite perfect for the story that is being told. For the most part, the cast can be reduced to three people, namely Tom Hardy, Michelle Williams and Riz Ahmed. Tom Hardy does not only play Eddie Brock, but he also voices Venom (after heavily editing his voice), and he does so brilliantly. While the original Eddie Brock in the comics was a bit more rugged and scruffy, Tom Hardy plays a great version of the ‘parasite’s host’ in the film. We might even dare to go as far as to say that he could become a new Hugh Jackman or Robert Downey Jr. for his specific role. 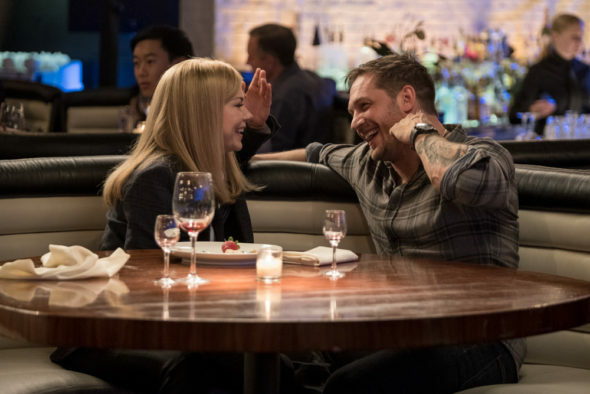 Michelle Williams plays the love interest quite decently, and her character shows a lot more depth than merely being the lady of interest for Eddie Brock. Riz Ahmed plays the villain in this movie, and his boyish innocent look makes his role in this movie even stronger, especially seeing he acts it so convincingly. The extras on the Blu-ray edition are quite plentiful, as you’ll get deleted and extended scenes, facts that can pop up during the movie (when turned on), a lot of features about Venom himself, making of sequences, a preview of the Spider-Man: Into the Spider-Verse movie and even some music videos that have to do with this movie, and Into the Spider-Verse. Venom is a welcome addition to the Spider-Man universe that is slowly being created by Sony. The movie shows us the anti-hero many Spidey-enthusiasts have come to love over the years. The casting for Eddie Brock has been handled with care, and Tom Hardy treats the character with a lot of love. With the teaser at the end of the movie, we can only hope for a sequel, which might involve the young Spider-Man in the future. Certainly worth the watch.